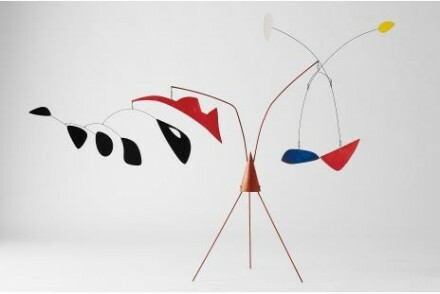 Sales resumed for New York’s fall auction weeks yesterday evening, as a Sunday sale at Phillips combined early 20th Century works and contemporary artists in a brisk sale that began strong but stumbled towards the later half of the sale, as 9 of 52 lots ultimately went unsold, achieving a final tally of $66.9 million (just within estimate). 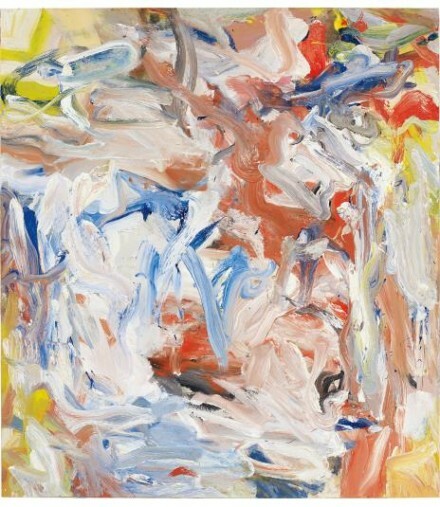 So often focused around recent contemporary works and occasional flirtations with post-war works, the auction house’s curatorial focus seems to be increasingly deep in these sales, pairing the familiar Christopher Wool works with a rarely seen Kazuo Shiraga, or a swirling Morris Louis with Robert Gober. The result is a sale that feels refreshingly focused compared with the blockbuster auctions happening nearby. In fact, the sale saw a heavy focus on Japanese artists, which offered an intriguing counterpoint to the often American-heavy focus of New York auction, but the evening’s bidders refused to jump for the works. Yayoi Kusama kicked off the sale with a 2004 Infinity Nets work, which beat estimate for a final of $1,234,100, following strong competition among three bidders, while Shiraga’s blurry vortex unfortunately failed to sell. Other works from the collection saw similarly mixed results. The sale began with a strong series of lots, with the Kusama giving way to a strong final price for a Michelangelo Pistoletto mirror work ($2,242,100), while a John Chamberlain, one of the night’s top lots, however failed to find a buyer, making it the first pass of the evening. It was followed by a Morris Louis that also performed to expectations, selling for $2,130,100, and an Anish Kapoor that hit within estimate for $1,122,100. 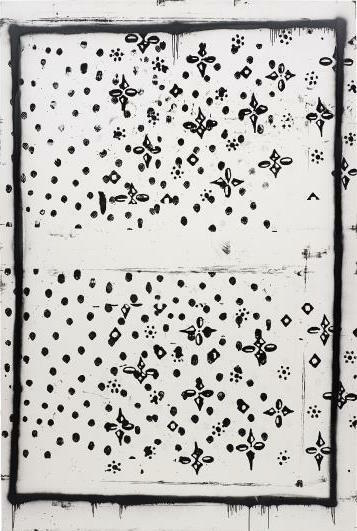 Other early lots included a striped Rudolf Stingel that achieved $1,570,100, within estimate, and a Robert Gober that sold just within estimate for $2,074,100, as well as a Christopher Wool that performed similarly against the estimate, just reaching the $3 million low estimate for a final of $3,026,100, and a Calder mobile that sold within estimate for $3,810,100. The evening’s top lot, Willem de Kooning’s untitled work from 1977 saw strong competition, reaching the low estimate and selling immediately to the tune of $11,202,100. 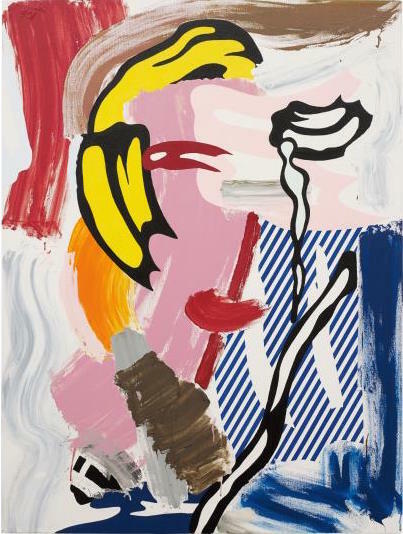 Several lots later, a rare Le Corbusier painting achieved its $4 million low estimate and brought a final of $4,482,100, setting a new auction record for the artist. 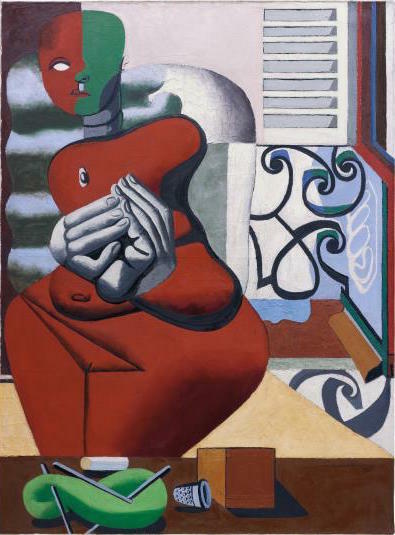 The sale continued to move deliberately, as a Giorgio de Chirico sold below estimate for a final of $3,810,100, and a Maurizio Cattelan followed up within estimate for a $1,122,100 final. The evening concluded after a number of passes, as Tauba Auerbach’s Fold works brought $1,445,000, under estimate, and a Wade Guyton met expectations to a $2,405,000 final in the next lot. Sales will continue tonight, as Christie’s gets its first shot at the November auction season. 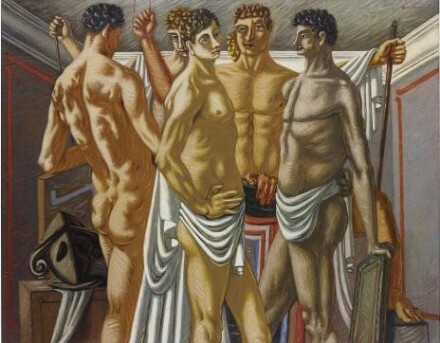 This entry was posted on Monday, November 9th, 2015 at 10:19 am	and is filed under Art News, Auction Results, Show. You can follow any responses to this entry through the RSS 2.0 feed. You can leave a response, or trackback from your own site.